There are so many things to love about Christmas, but one of my personal favorites is pulling out the Christmas candy recipes and baking up a storm. Christmas candy makes a great gift for loved ones. 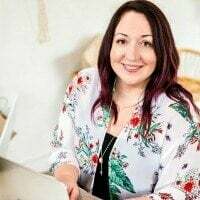 I love finding new recipes to add to my arsenal and have compiled this great roundup to share with you. Happy baking! Need some ideas for your Christmas party? Don’t miss these Cute & Easy Christmas Party Ideas. Keep kids busy this holiday season with 13 Christmas Crafts for Kids. I’m especially loving the sounds of the red velvet fudge, peppermint fudge, homemade toffee and caramels. The gingerbread Oreo cookie balls, peppermint meringues and candy cane marshmallows have me intrigued, but it’s classics like seafoam candy, rum truffles, white chocolate bark, and Christmas rock candy that will always have my heart! Three ingredients! That’s all you need to make Oreo cookie balls (in a variety of flavors depending on the flavor of Oreos you buy)! 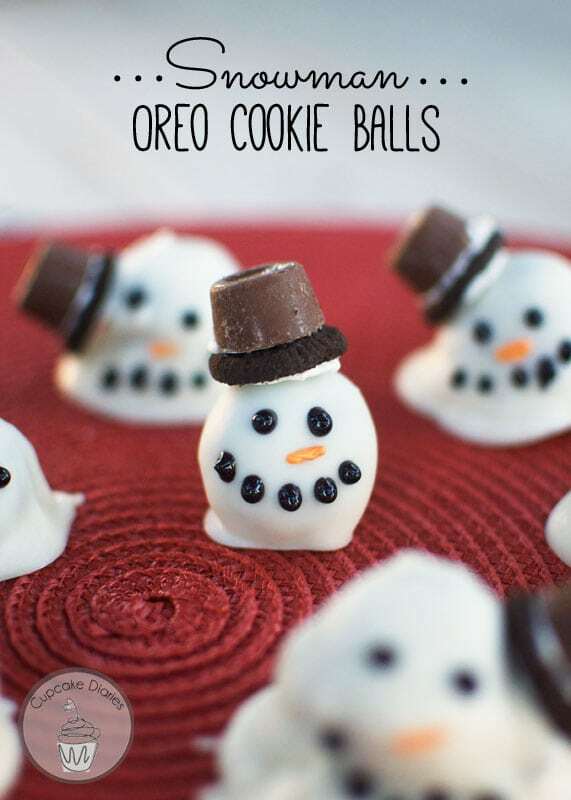 A few extra ingredients help transform the balls into the cutest edible snowmen you’ve ever seen. When it comes to homemade, these Homemade Peppermint Patties are delicious! Covered in smooth chocolate and filled with minty goodness on the inside, they are delicious all year long, but especially at Christmas! You’ll want to try your hand at making these Homemade Cookie Dough White Chocolates. 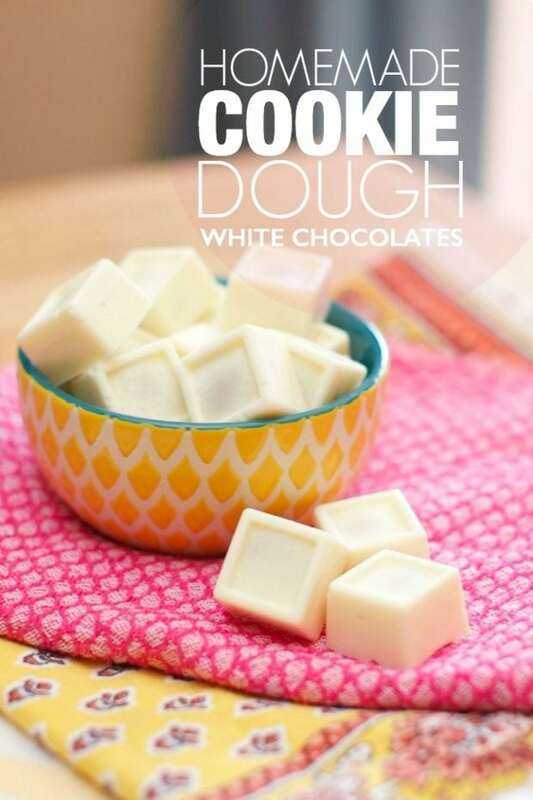 Imagine white chocolates with a little bit of cookie dough heaven tucked inside. 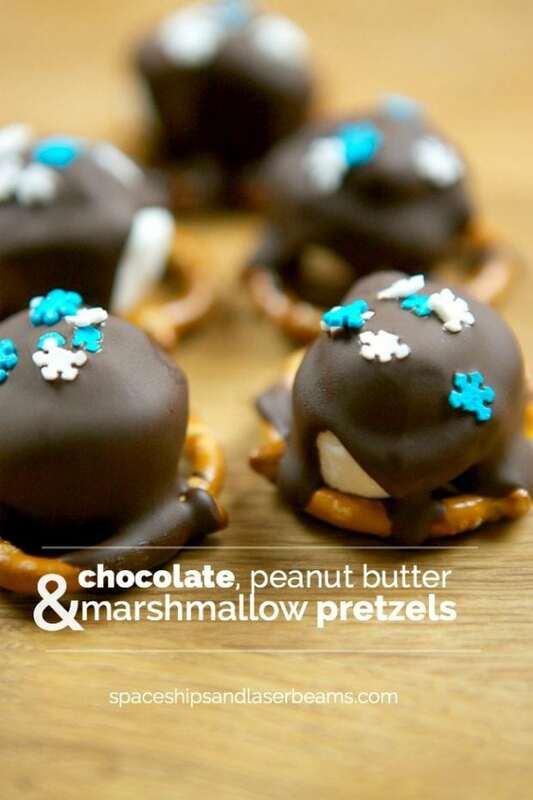 Chocolate, peanut butter, marshmallows and pretzels might as well be the Christmas candy dream team! When you try these Chocolate, Peanut Butter and Marshmallow Pretzel Bites you’ll understand why! Yummy! Is there anything easier than a no-bake treat with only 3 ingredients? Nope! 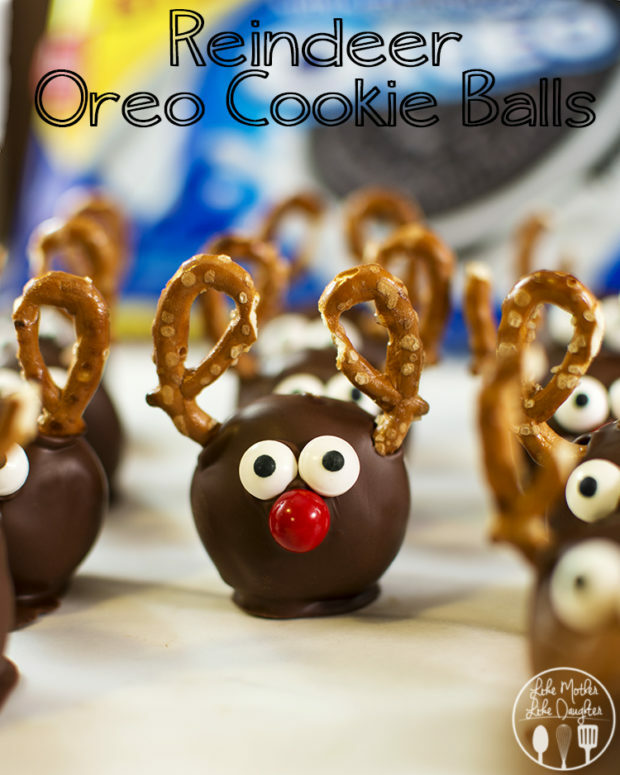 Add these Reindeer Oreo Cookie Balls to your must-make Christmas candy recipes list! It’s impossible to imagine improving on chocolate or caramel, but when you pair the two, watch out! 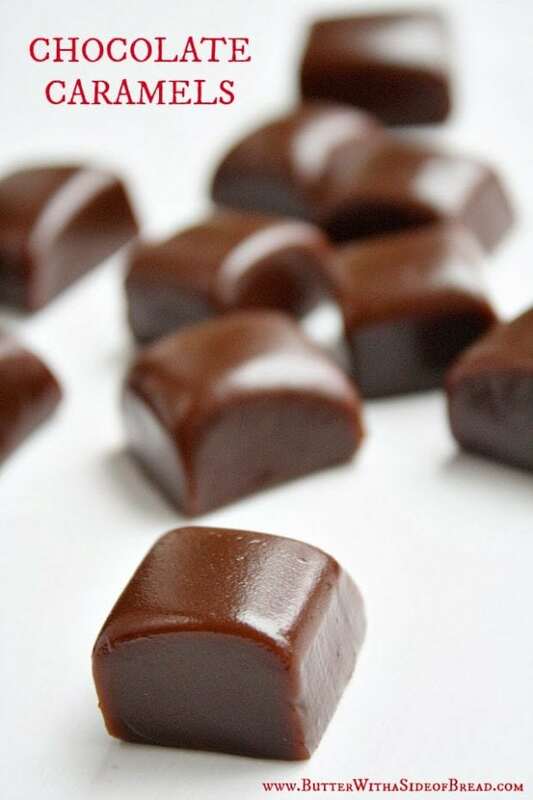 These Chocolate Caramels may just make you question everything you thought you knew about delicious Christmas candy! 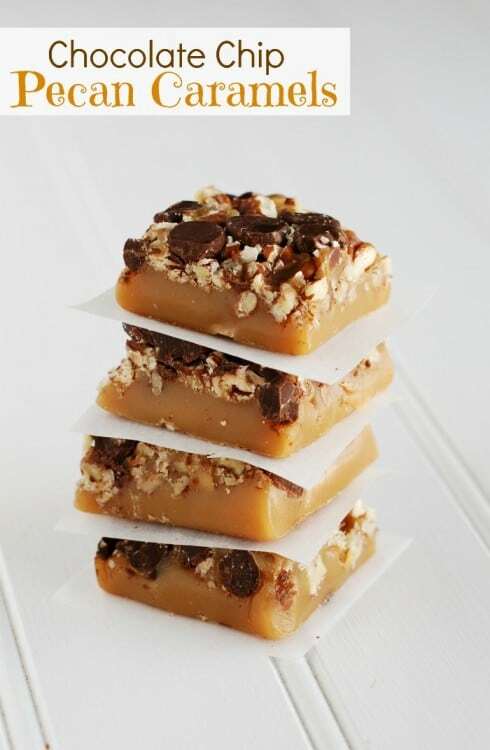 Sinfully delicious, that’s what these Chocolate Chip Pecan Caramels are! You’ll want to pull out your candy thermometer for this recipe, but don’t be scared, this recipe is perfectly suitable for caramel-making beginners! When gingerbread meets fudge, something magical results. 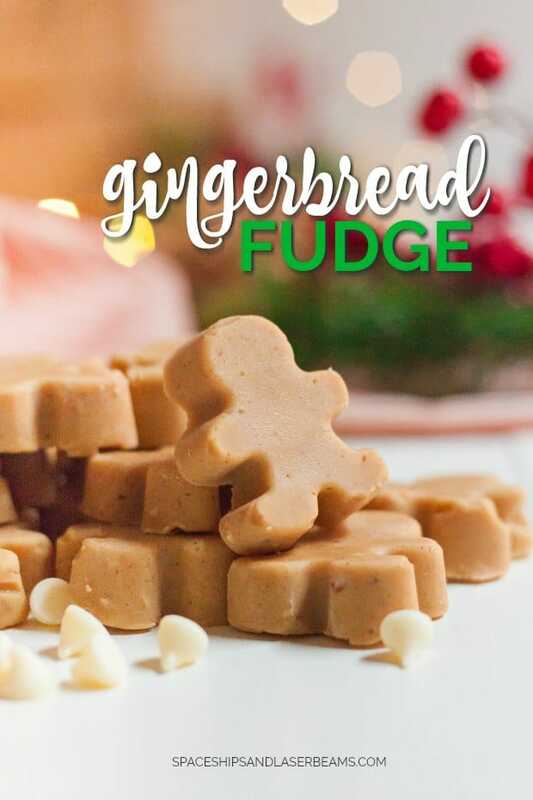 This Gingerbread Fudge may just become your new favorite Christmas candy recipe! 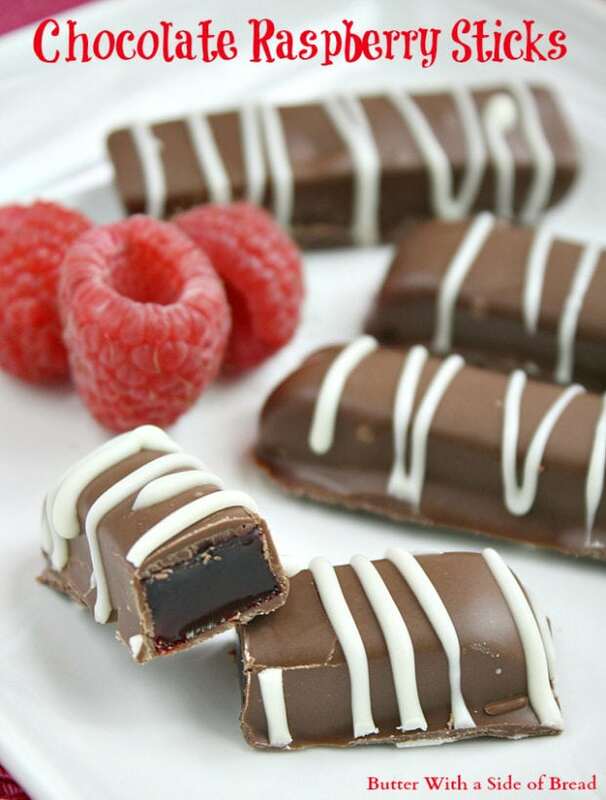 You’ve seen them in the store, but did you know you can make Chocolate Raspberry Sticks from scratch? 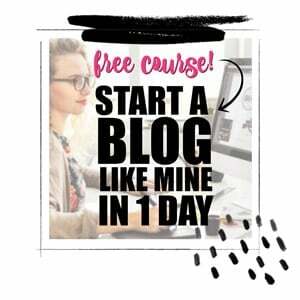 This great recipe and step-by-step tutorial will help you! The beauty of chocolate bark is that it is perfectly imperfect which takes some of the stress off of the one making it. 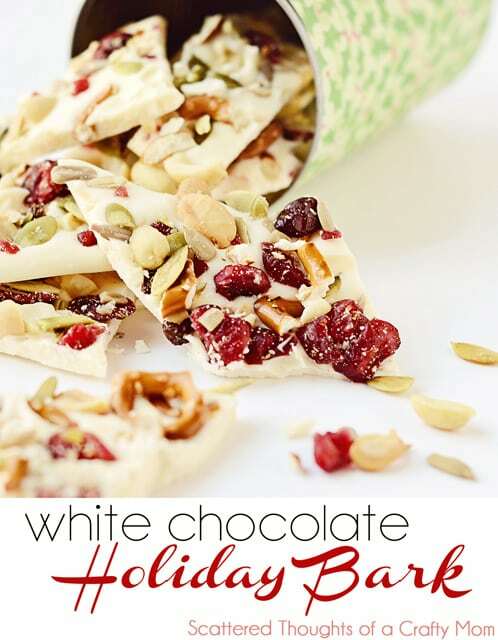 This White Chocolate Holiday Bark definitely fits the stress-free requirement and has the festive nuts and cranberries added for some fun and yummy holiday flair! 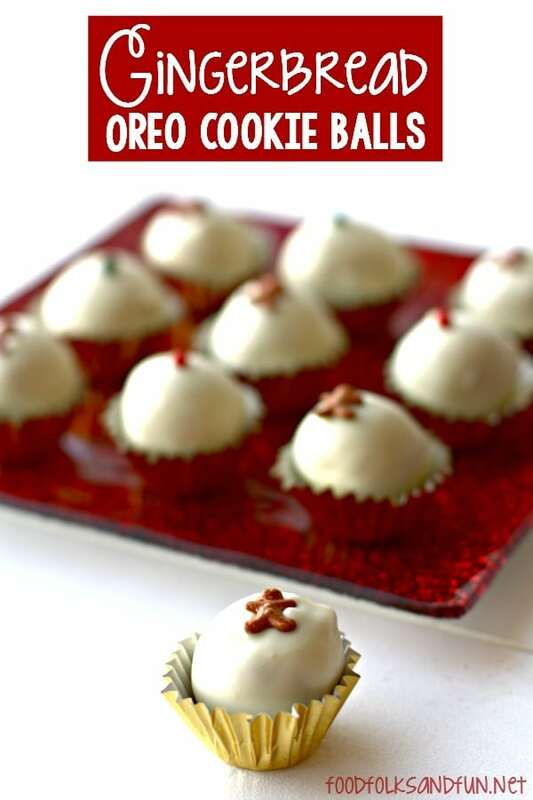 These Gingerbread Oreo Cookie Balls are delicious and so easy to make! Even your kids can be involved with the mixing, rolling of the dough, and dipping! 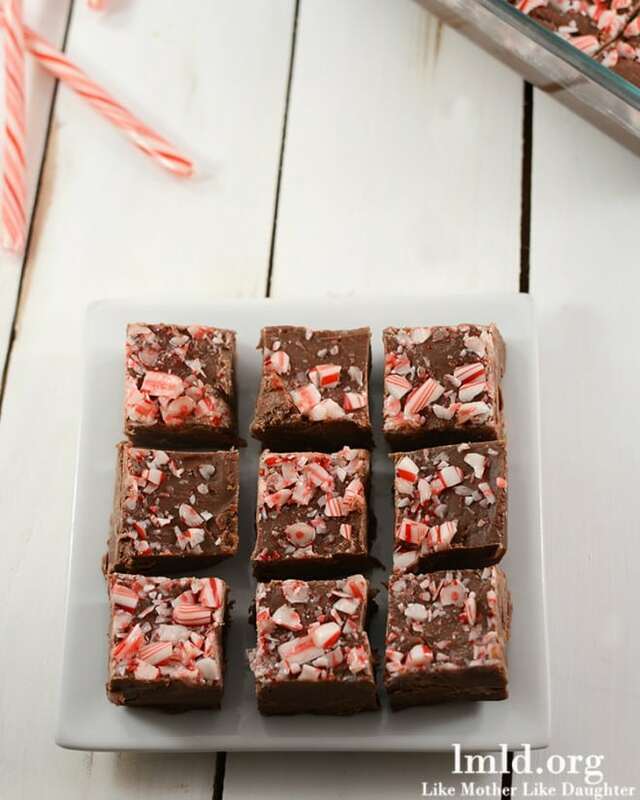 Give yourself permission to make this Easy Peppermint Fudge recipe in lieu of other recipes that require fancy thermometers and kitchen gadgets. 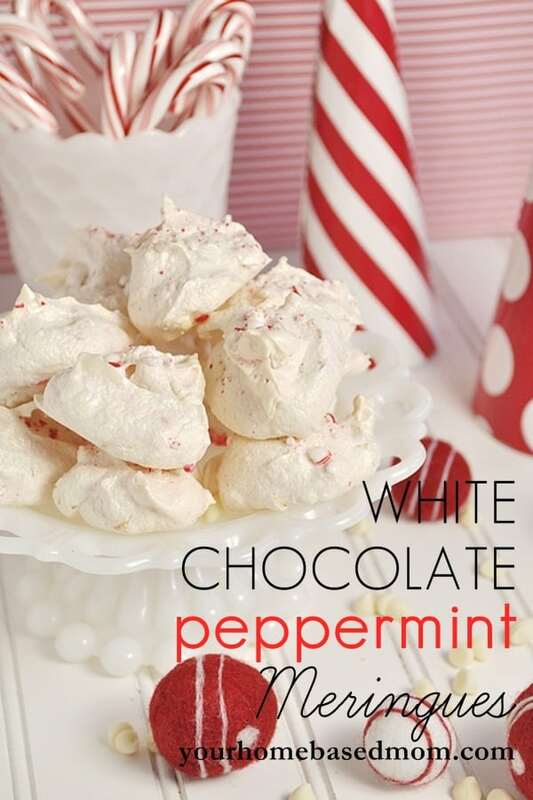 Then indulge in the peppermint-y goodness before they all disappear! 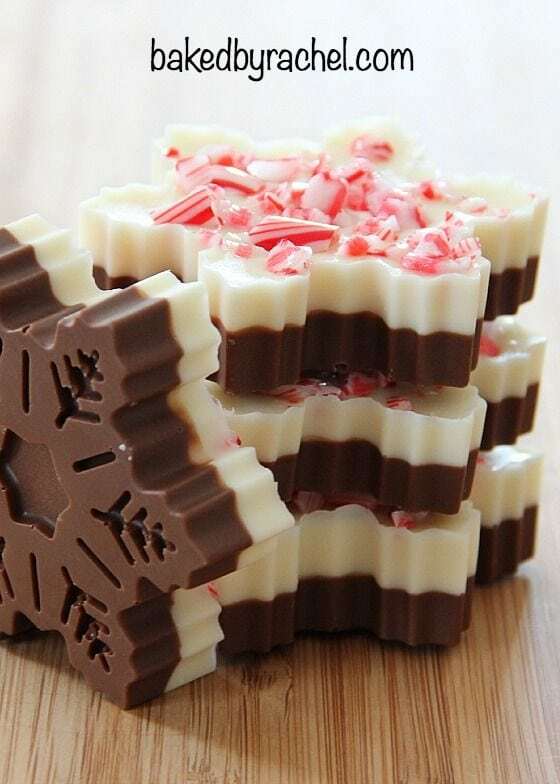 Wow friends and family with this beautiful Snowflake Peppermint Bark created using a mold. You’ll be surprised how simple these beauties are to make! 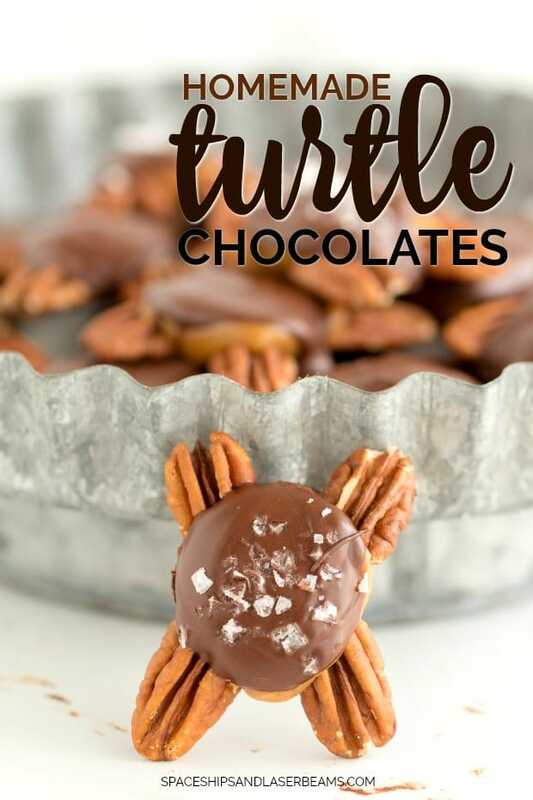 These Turtless make a perfect holiday treat for gifting! No candy thermometers or double broilers needed for this easy recipe with only five ingredients! If you’ve never tried Seafoam Candy before, now is your chance! These easy-to-follow instructions will have you enjoying this hard-to-find favorite in no time! 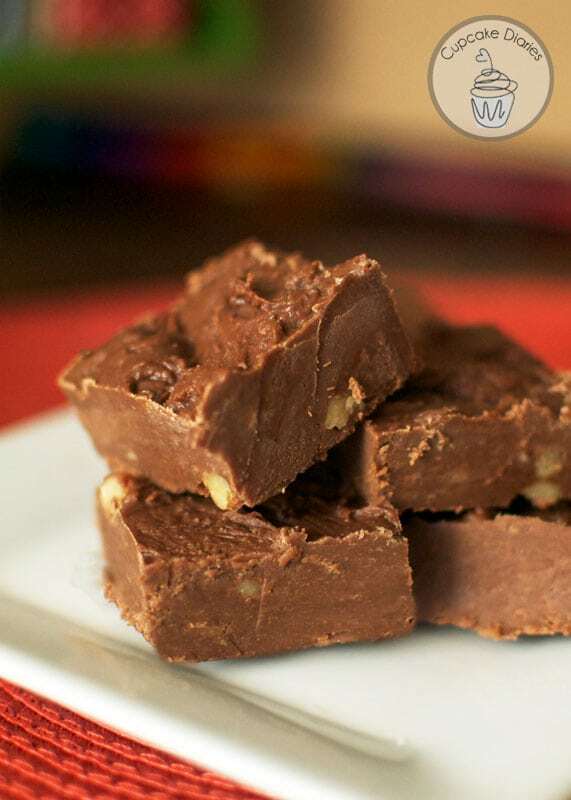 If you’ve ever tried See’s Candy Fudge, then you know about the creamy deliciousness that is hard to resist. Well, this copycat recipe doesn’t disappoint, so gather the 7 ingredients and summon your willpower to avoid eating the entire batch! 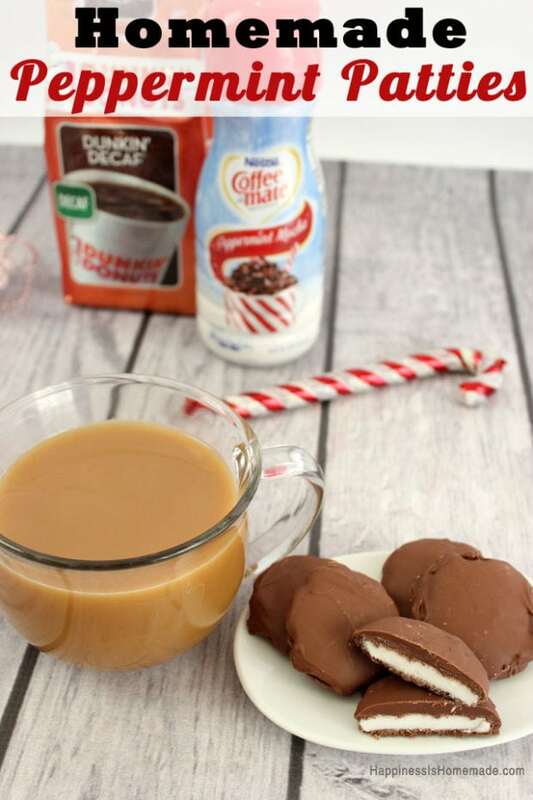 Grab your favorite little helper and the short list of ingredients to make up this Homemade Peppermint Patty recipe! Double the recipe to have some to giveaway after you’re done sampling them. 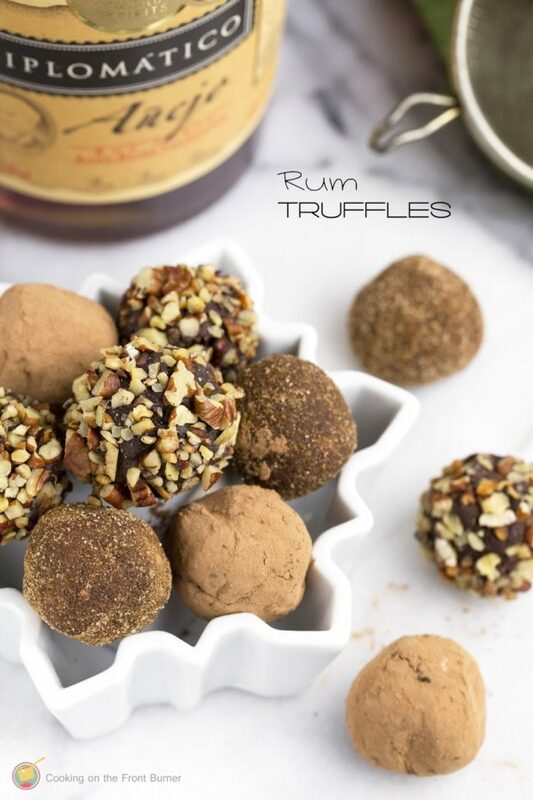 Rum Truffles are a perfect bite-sized treat, packed with chocolate flavor and a hint of rum. Give them as gifts or keep them on hand for Christmas visitors. 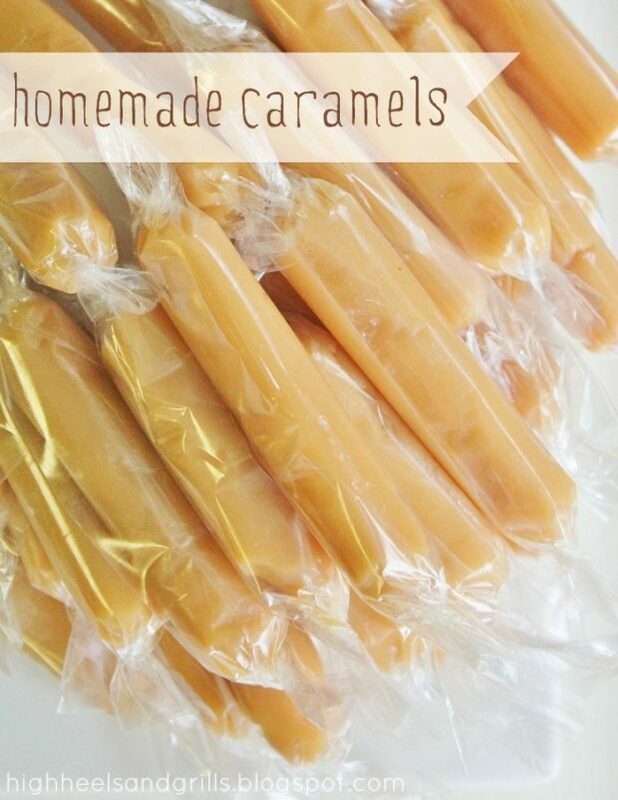 The hour or so it takes to make these Homemade Caramels is worth it! Friends and family will appreciate your efforts to bring them these soft, chewy bites of heaven! 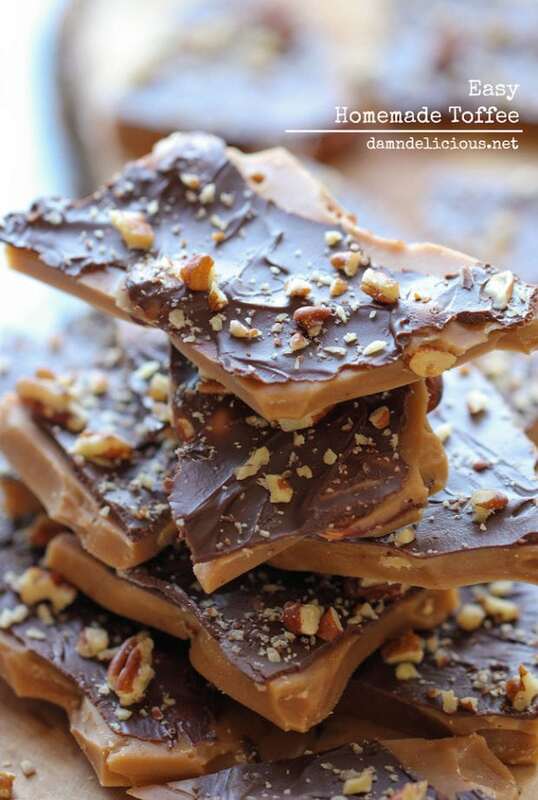 The one thing that is not easy about this Homemade Toffee recipe is waiting for it to set so you can sink your teeth into it! I guess sharing it may be another difficult thing! Make up several batches to share for Christmas! 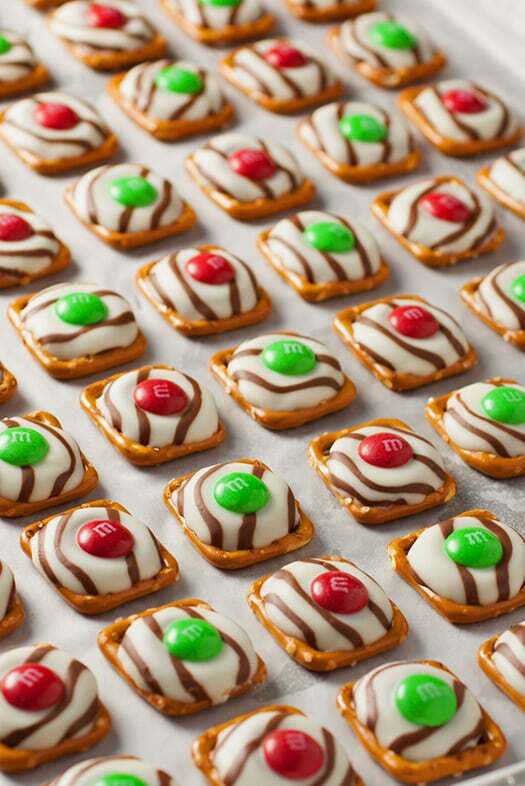 You can’t beat the sweet and salty simplicity of these Pretzel M&M Hugs. You can make a huge batch in 15 minutes easily and even faster with an army of little helpers assembling them! On the hunt for a fun and delicious Christmas treat? This Santa Crunch Popcorn with a gooey marshmallow sauce mixture and a mix of M&Ms and pretzel M&Ms is easy to make and looks cute on your Christmas dessert table! Even better, turn on a favorite holiday movie and whip up a bowl to enjoy! 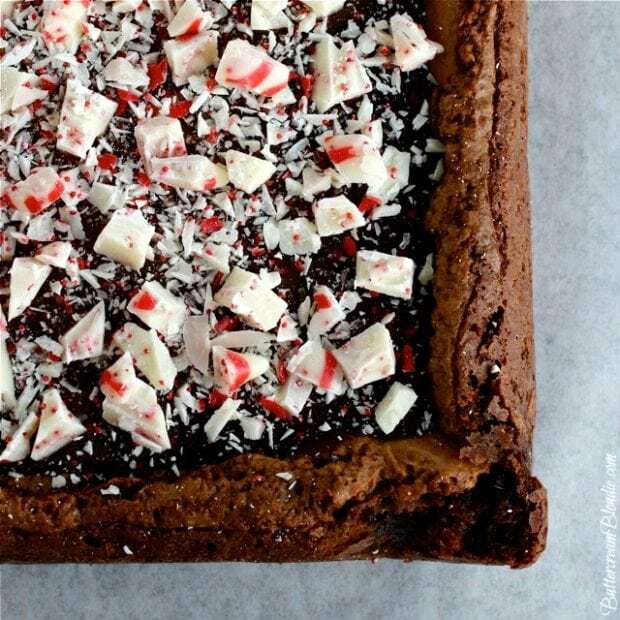 Are you ready for peppermint overload in the best possible sense? These Peppermint Kiss Brownies might just be the most amazingly delicious chocolate truffle brownies ever, and the goodness doesn’t stop there! Topped with a layer of candy cane kiss ganache and tucked under a layer of shiny dark chocolate glaze, these beauties are piled with a mound of candy cane kisses on top too! 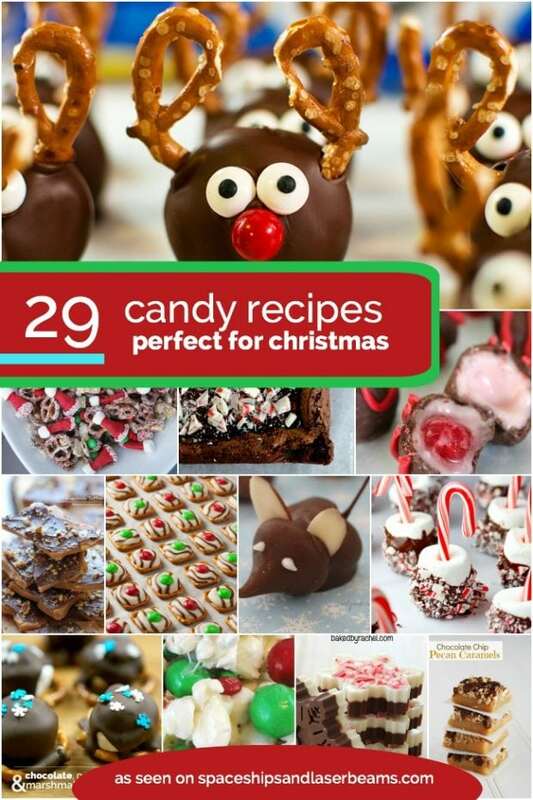 Quick and easy Christmas candy recipes that kids can help with are always a bonus! 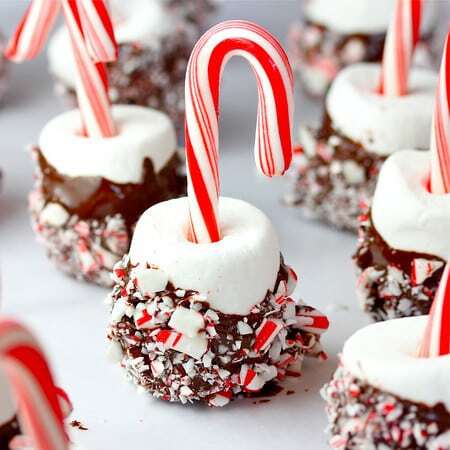 These Candy Cane Marshmallow Pops make a wonderful treat idea that can be mass-produced and adorably packaged. This Chocolate Covered Cherries recipe is definitely a labor of love and requires a lot of patience. But, oh is it worth the wait! 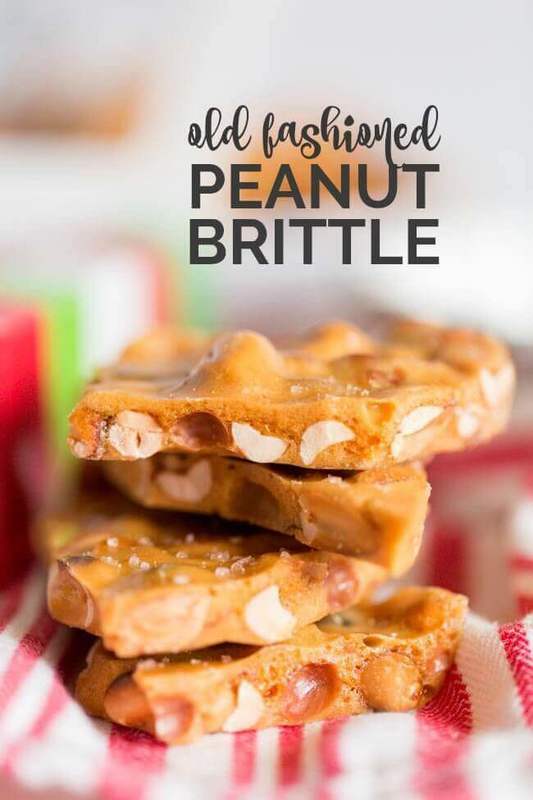 Have some fun concocting in the kitchen and whip up this Peanut Brittle! Oh the nostalgia it will create! 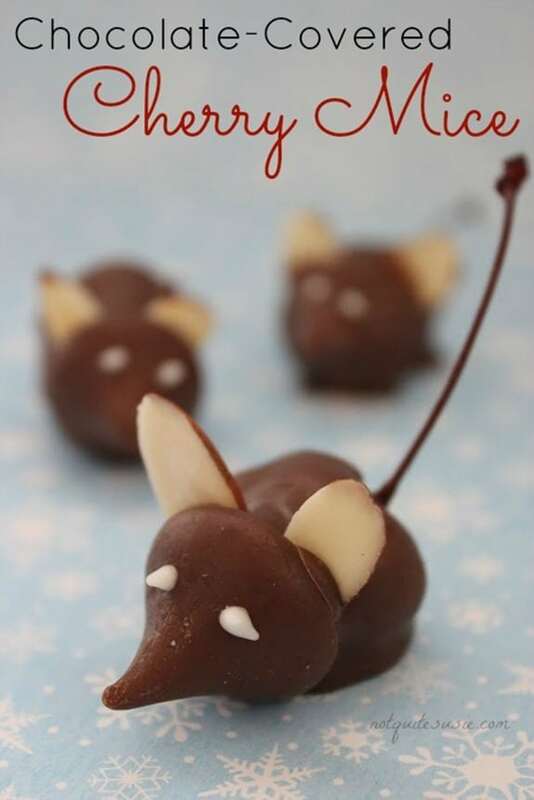 These Chocolate-Covered Cherry Mice are sure to bring a smile to recipients’ faces. You don’t even have to heat the oven for these cuties! 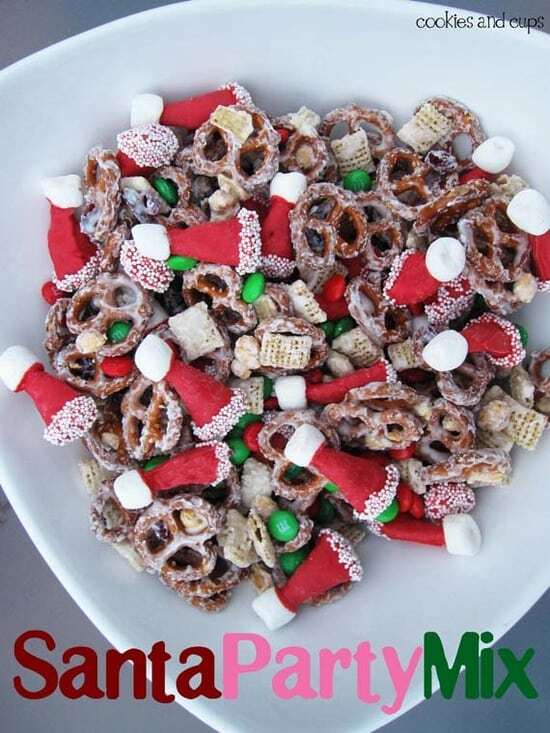 Add a little ho, ho, ho to your holiday snack mix by giving it a Santa Hat makeover. Have you ever seen anything so cute that tastes good too? Bugles and melting chocolate are the secret combination plus a marshmallow embellishment and white candy sprinkles! Light and crisp on the outside and soft and chewy on the inside. Sounds like a perfect combination, right? These White Chocolate Peppermint Meringues are easier than you think to make and probably more delicious too! 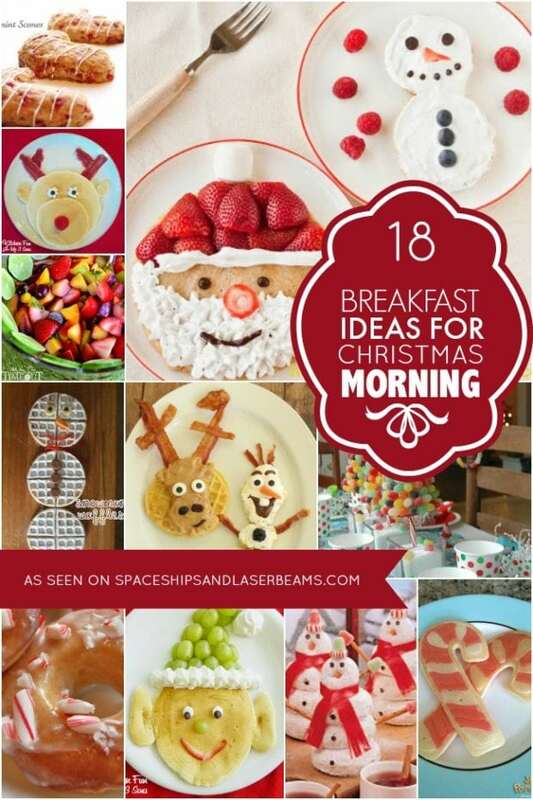 Check out more great Christmas party food ideas. Check out these fun ideas for what to do with your leftover candy canes. We love this easy Christmas snack!